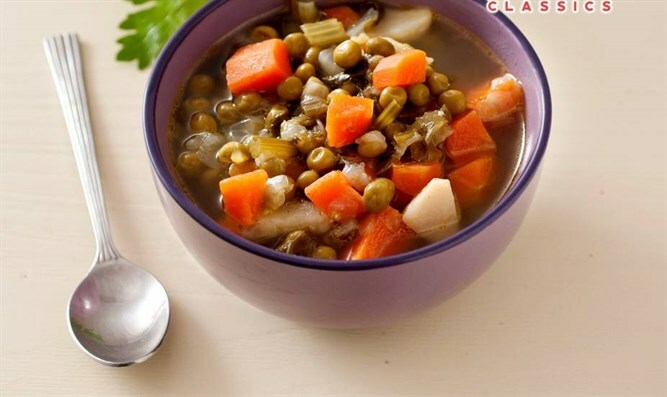 A chunky vegetable soup delicious served with dumplings or noodles. In a four-quart pot, sauté all vegetables in oil for 15 minutes. Add reserved liquid, water, and seasonings. Bring to a boil and cook over medium-low heat for one hour.